We love ‘quick and easy’ sewing projects and this one certainly fits the bill. 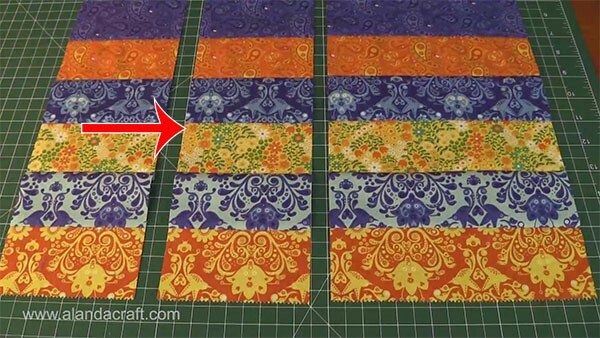 This placemat goes together with just a few strips of fabric (you can use jelly roll strips) and some backing fabric. This is a great one to use for special holidays like Halloween or Christmas by simply changing up the fabric. 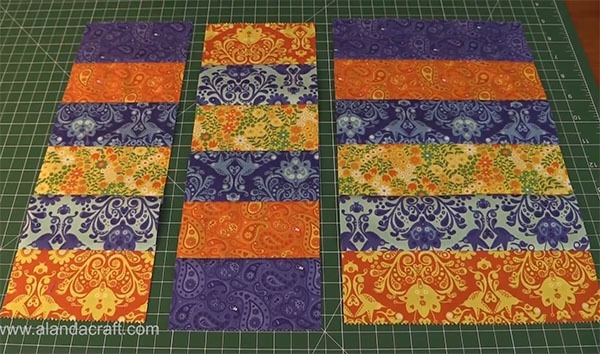 6 strips fabric – 2 ½” x width of fabric (we used Moda Jelly Roll strips, but you could cut your own strips. 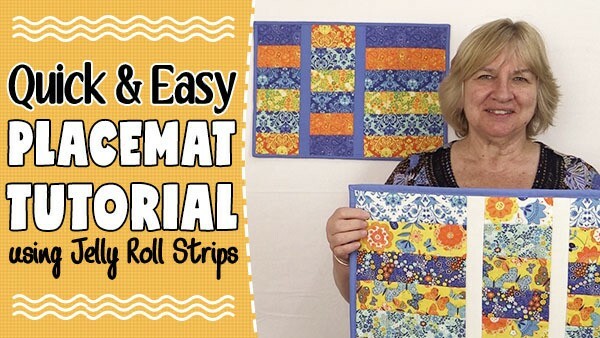 Take your 6 strips and sew them together using a 1/4″ seam. Trim off the selvedges at one end. 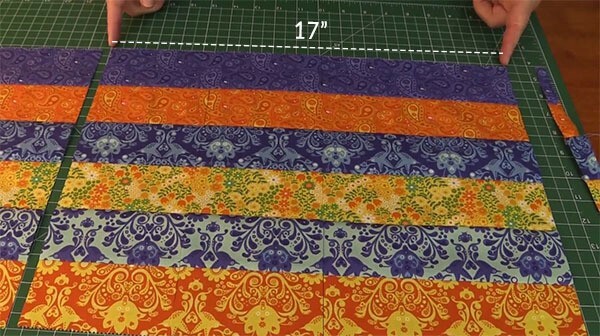 You will have enough in this sewn strip to create two placements so you can cut another 17″ section from your strip. 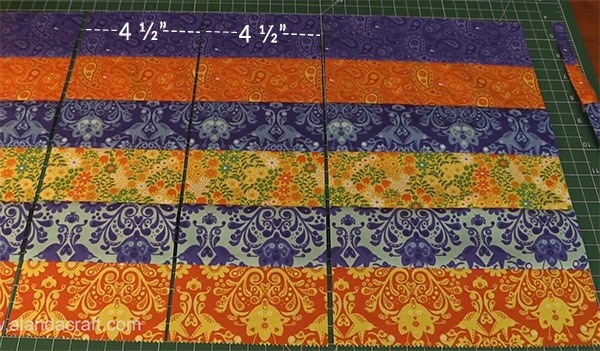 From that 17″ piece, cut 4 ½” from one end and then another 4 ½” further from that cut. Take the middle piece and flip it. Now it’s time to add your sashing pieces. 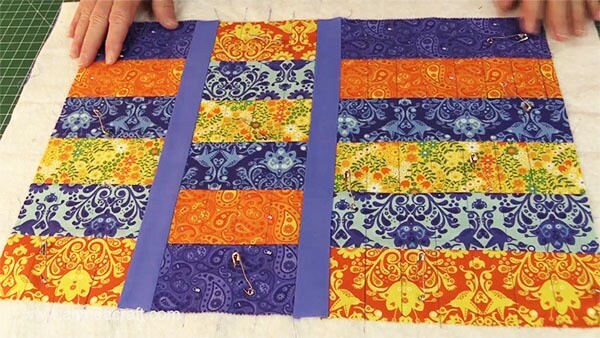 Simply sew each piece onto the rectangular pieces with a quarter inch seam. 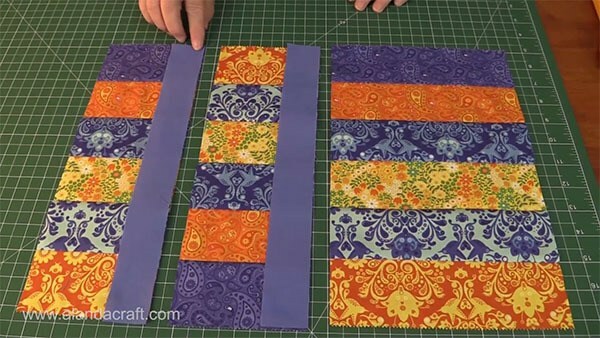 Create your quilt sandwich, pin the quilt and quilt. 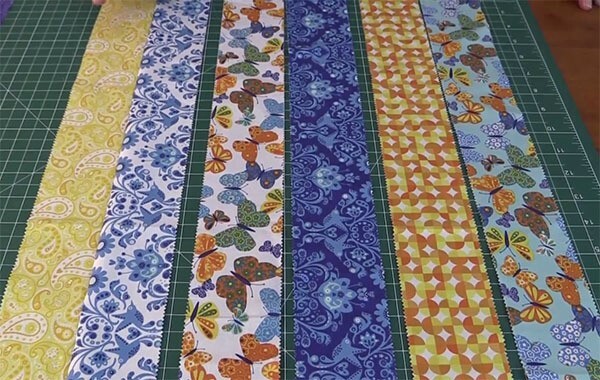 Place your backing fabric face down, add your batting and then your quilt top face up. We quilted the placemat using straight 1″ lines and we drew the sewing lines with a Frixion pen which disappears after ironing. 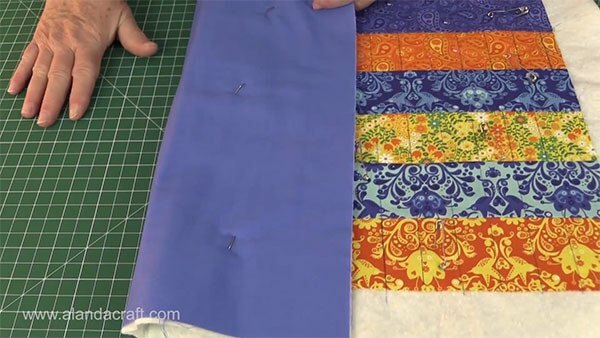 Once you have finished quilting, trim the edges and attach the binding. This looks like an interesting site. I won’t forget your names: my name is Wanda and my sister’s name is Paula! I’ve had a little difficulty learning how to use this site, but I’ve kept trying. I hope this note goes through. 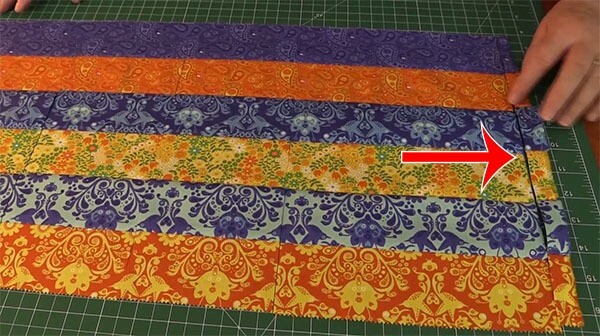 What is a jelly roll strip?